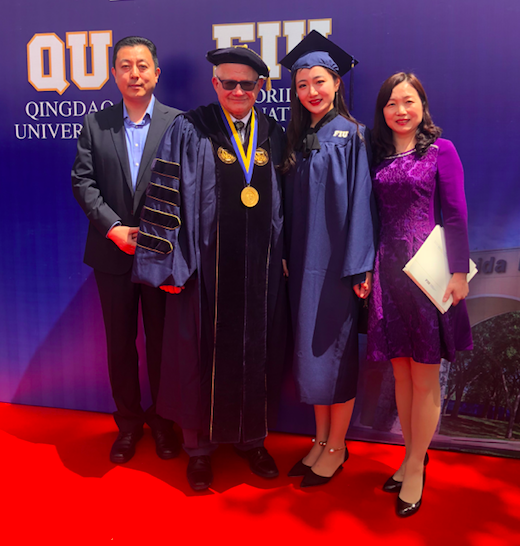 This is President Rosenberg’s ninth annual blog chronicling the TUC-FIU partnership, the annual China Commencement and our students in China. This is his fourth blog post. Here are his first, second and third blog posts. I could not help but notice how Qingdao is “spiffing up” for a major international meeting in a few weeks: The Shanghai Cooperation Organization Summit in early June. World leaders will attend to network, share concerns and try to set a global affairs agenda. Our business in this beautiful port city is less ambitious: to complete final details for our inaugural commencement at Qingdao University. Our partnership offers a degree in Spanish that focuses on business and cultural issues in Latin America and Spain. It is hosted by the School of Foreign Languages at QU. Jianhua Bian is their dean, and in cooperation with our FIU Department of Modern Languages and Chair Pascale Becel, the two units have quickly put up a nationally competitive Spanish language program that has consistently led China in language competency exams for the last three years. 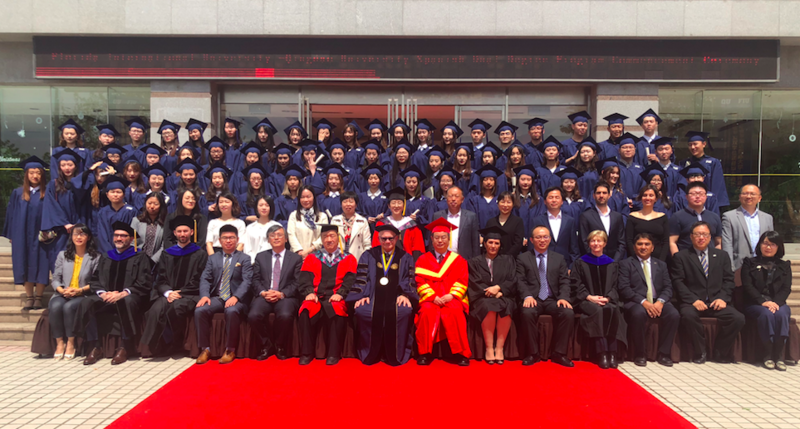 I personally have lectured before the inaugural 2014 cohort three times and am particularly proud to experience and lead this first graduation of promising young Chinese students who are passionate about the Spanish language and Latin America. The FIU-QU partnership was initiated in 2012 as a consequence of conversations between FIU’s Lu Peng and QU university authorities. Now as QU transitions to a new president, an engineer who has significant higher education leadership —Dongwei Xia—we are finally celebrating our first graduates! Class valedictorian Mengming Li and President Rosenberg are flanked by Li’s parents. The commencement was also blessed to have two guest speakers: Sun Yongle, general manager of Haier International Business Co., Ltd., and Lan Lin, executive vice president of Hisense Group Col, Ltd. Both companies will end up hiring many FIU graduates from this program, so it was refreshing hearing their perspective on the market for talent in the greater Beijing area. At the ceremony’s conclusion we took a class photo, and I had the opportunity to talk with our newly minted graduates. As we begin to pack our bags for the return trip to the USA, I am gratified to have been part of this larger process of extending our global reach and helping eligible students realize their dreams. If we can get this done at scale, the world will be a better place. Dear President Rosenberg: I am very proud of FIU’s initiative in launching the Spanish program in China. I believe all initiatives that are taken that bring us closer will help to foster global alliances in trade, cultural understanding lead to shared global economic growth for al. I am an alumni, graduated in 2003 in the MPA program. I would love to share my sum total of experiences and am ready and willing if there is an opportunity available.